How running a marathon could change your life and those around you. This article was written by Nick Kershaw, CEO and founder of Impact Marathon Series. Three years ago, the next step in my finance career was right there for the taking, I sat in a London wine bar, a nice glass in hand having an interview with a Goldman Sachs Managing Director. The role is exactly what I wanted and I knew I would flourish there. I have no doubts at all that I am walking out of this bar with a job offer from the most famous financial institution in the world. Flash forward to today -- I am 7,338km away from that wine bar. Writing this from a small cafe, sheltering from a brutal dust-storm sweeping through Kathmandu. My earnings have dropped off a cliff and I own nothing but what I can fit into my North Face roll-on bag. Life is utterly thrilling. As a child I dreamt that ‘future me’ would be a man who lives a fearless life he is passionate about, who does everything he can to change the world and to empower others to soar. A man who dares to fail greatly knowing that there is a peaceful reward to the challenge undertaken, even if not completed. Unconstrained, free and empowered. In 2013, interviewing for Goldman Sachs, I wasn’t living that and things had to change. And that’s how Impact Marathon Series came to be. Impact Marathon Series (IMS) was borne at a time of huge change, challenge and uncertainty in my personal life. The overriding emotion was one of new intentions; not of settling down but of pulling up away from the ‘trappings’ of the life I was leading because that’s exactly what they were - a trap. What is Impact Marathon Series? In Impact Marathon Series we are building an organisation from the ground up dedicated to empowering our runners and empowering the communities they will support. We are inspired by the chance to show people that they, in their capacity as one individual, have the power to change the lives of others - they have the power to build. 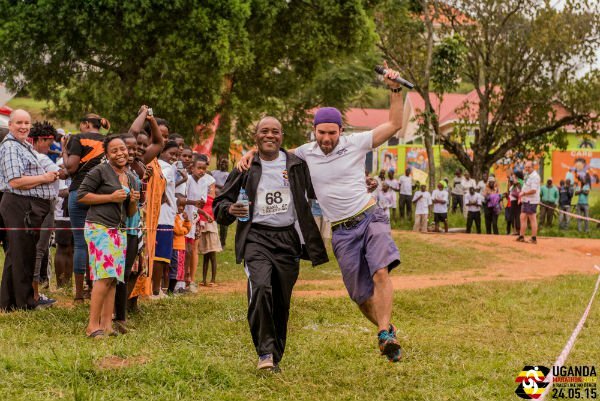 In IMS’s first 8 months we have set up 4 new international marathon races - Nepal, Colombia, Malawi and Guatemala - each one taking on a different global social issue. We will unleash the enthusiasm of runners to raise funds and take action, shouting loudly for a better world. Impact Marathon Series is set up specifically to tackle the 17 Global Goals. Each race takes on the 3 of the Global Goals that are most pertinent in the community where the marathon takes place. You, the runner, then get to pick from those three Goals the one which fires you up. You will then spend time visiting and volunteering with the organisations tackling your chosen Global Goal in the week prior to raceday. You will you not only run for but also run beside these same people as the community joins you to celebrate the power of running to unite, heal and build. In 15 years time, we will have fully measured our impact on each of the Global Goals - what has the power of running contributed to their success? What have you contributed to their success? A person’s contribution through Impact Marathon can take many guises. You can run, walk, volunteer, donate - it doesn’t matter, just be inspired to take action this year. There are a myriad of organisations on this Global Citizen platform who need more than a ‘like’ or ‘share’ - they need you, doing what you can. A groundswell of change can be built on your action; take it now, say ‘yes’ and let the adventure begin. So let’s go back in time, back to that snazzy wine bar deep in the heart of London’s finance district. What was it that led me into this Nepali dust-storm today?